Enjoy bright bursts of red, purple and orange with this six-plant collection of easy-care calibrachoas. This collection includes two each of Hawaiian Luau Red, Hawaiian Luau Purple and Hawaiian Luau Orange calibrachoas. 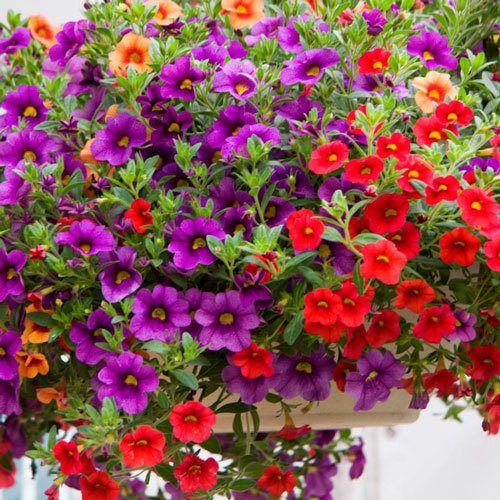 Just plant them in a 12" hanging basket and you'll delight in cheerful flowers all summer long. Plant in full sun to partial shade. 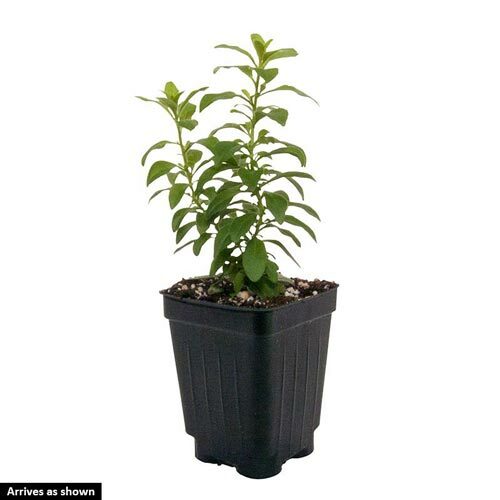 Grow 6-12" tall with a 12-18" spread. Annual. Calibrachoa 'Hawaiian Luau' Red, Calibrachoa 'Hawaiian Luau' Purple, Calibrachoa 'Hawaiian Luau' Orange Hanging baskets are a great way to add color to a porch, deck, balcony or entryway. The Confetti Garden Collection is a favorite for its color and performance. This annual collection also makes a perfect gift for Mother's Day, housewarming parties or other special occasions. When you purchase annual flowers from Spring Hill, they'll be delivered to you at the proper planting time-no more searching garden centers for the perfect color combination of annuals.